Redirects have been around for a pretty long time now. 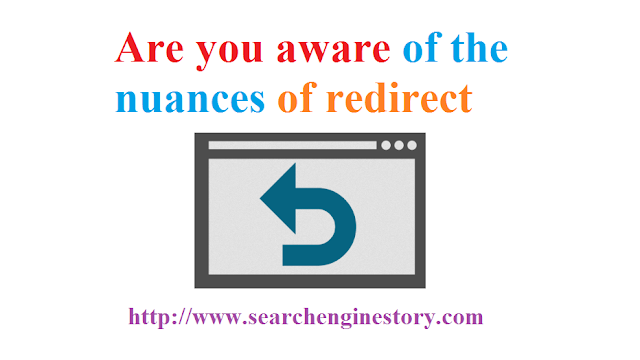 And it won’t be wrong to say that even the veterans in the field of SEO oftentimes get confused about these so called “redirects”. In this write up, we will discuss about the various essential aspects of redirects. So, read on for a better insight. Prior to getting into the depth of the topic, it is crucial to understand the concept and the meaning of this term. With the help of a redirect link, it is possible to forward a URL to another page from a particular page. The primary objective of this process is to take users to another page. However, it is important to understand the signals that are being passed on along with the forward. In other words, redirecting will usually allow links to get consolidated before they are passed on to another page. Although, there are many SEO professionals that do not prefer to keep these redirects in place, however, the search engine major Google recommends that redirects should never be removed. In fact, they should be allowed to stay where they are for as long as possible. • Is maintenance of file structure your aim? Once you have identified the purpose of redirecting, you can do so at different levels and more about each of these levels has been written below. • CDN level- As far as implementation is concerned; it has been observed that if redirects are moved from the page of origin to the end, it can make the process much simpler and also faster. Instances- Cloudflare Page Rules and Akamai Edge. Interestingly, not many SEO firms employ this methodology. What they don’t realize is that this method allows scalability. • DNS level – If domain changes are what you are aiming for, perhaps it is best to redirect at the DNS level. The best part is that the rules that govern the procedure are well documented. Whether or not this is the best level for redirecting is perhaps decided by the hosting provider. • Redirects (language based) – Redirecting can also be carried out using different languages like HTML, .NET, JS, and PHP. The best part is that these individual languages more than one option for redirecting. • Server level redirection – Depending on the nature of server, you can opt for redirection at the server level. It is important to find out whether or not the server is IIS, Apache, or nginx. The rules are documented extremely well. What majority of the professionals don’t realize is that if a WordPress plugin is in use, you are most likely using the Apache server. In fact, the same applies in case of Cpanel too. Pay heed to the following points prior to initiating a redirect. • Last but not the least, redirect loops are particularly vital so, it is important that you check for the same. Any fault may crash the site.